Super Bowl LIII: Get set for a branding and set design masterclass. Super Bowl LIII is now into the second half, and there are only a few points in it between the Patriots and Rams. You don't want to miss the conclusion, so take a quick read of our guide and we'll tell you how to get a free Super Bowl live stream. Follow our easy step-by-step guide below to watch with ease from anywhere. 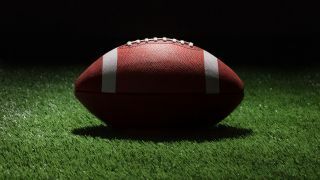 If you're a fan of American football, then we hardly need tell you that the Super Bowl 2019 takes place TODAY at the Mercedes Benz Stadium in Atlanta, Georgia. Neither will you need reminding that Super Bowl LIII is going to be an epic battle between AFC champions, the New England Patriots, and NFC champions, the Los Angeles Rams, in the latter's first Super Bowl appearance in 17 years. But even if you're not down with American football, from a creative perspective Super Bowl LIII is still an occasion of great interest. As one of the planet's biggest sporting events it's the perfect opportunity for top brands to roll out their most impressive adverts, while the Super Bowl halftime show – this year featuring Maroon 5 as well as Travis Scott and Big Boi from Outkast – is likely to be an impressive display of costume and set design. There are certainly creative lessons to be learned tonight, outside the sporting action. So how do you get to watch Super Bowl LIII, especially if you don't live in the US and can't simply tune into CBS? Read on for our tips on how to live stream the 2019 Super Bowl for free, wherever you are in the world. If you can't easily watch the Super Bowl online in your country, then the best way to see it for free is with a VPN service. Our favourite VPN right now is ExpressVPN – it's compatible with practically every device you can think of, supports most streaming services and it's one of the fastest VPN services around. ExpressVPN is also running a 49% discount right now together with 3 months FREE with annual plans – and there's a handy no-questions-asked 30-day money-back guarantee if you want to give it a test drive. Once you've set up your VPN, you'll need to connect to a server location. The UK is the best place to find Super Bowl LIII being streamed for free; whereas the US is the best place to catch the commercials. It doesn't matter which area in the country you choose. For no ads: Set your VPN to UK, and go to TVPlayer.com, an online streaming service with hundreds of channels on offer for free. Select BBC One if you're not bothered about seeing the sporting event's unofficial competition – the commercials – play out. The channel will be showing the entire Super Bowl live and uninterrupted by ad breaks. Alternatively, if you want to record the Super Bowl to watch later, you can do that too. You'll need to sign up for a paid TVPlayer Premium account, but the site offers a free 14-day trial. For ads: Set your VPN to the US and choose a US stream. Super bowl LIII: Which countries can I watch the Super Bowl 2019 from using a VPN? With a VPN, you can watch the Super Bowl from absolutely anywhere – as long as you have an internet connection. As you'd expect, that includes: US, UK, Israel, Belgium, Canada, Germany, Denmark, India, Netherlands, Spain, Brazil, Belgium, Romania, Mexico, France, Sweden, Italy, Portugal, Czech Republic, Ireland, Poland, Kenya, Hungary, South Africa, Indonesia, China, Nigeria, Bangladesh, Russia, Japan, Egypt and a lot more. Remember: if you want to watch the Super Bowl in the US without commercials, you'll need to follow the steps above. Besides CBS, there are other streaming options available in the US, such as YouTube TV, Playstation Vue and Sling TV. You can easily pick up a free trial from any of them, and as well as the Super Bowl you'll find that they all have plenty of channels and content to enjoy as a subscriber. Remember, you'll need to be in the US with an American IP address to use these services. If you're not, follow our VPN steps above, log in with a VPN and choose a US server location. In the UK, watching the 2019 Super Bowl should be a piece of cake. Providing you have a TV licence, you'll be able to see it on BBC One for free. It'll be showing from 11PM GMT – and if you'd prefer not stay up half the night it'll be repeated the next day. If you'd rather watch the American coverage, you can watch on Sky Sports, although you'll need a subscription for that. If you want to stream Super Bowl LIII for free instead, that's almost as easy. All you need is BBC iPlayer either on desktop or mobile; you'll probably have to register for free to use it, but it's a pretty painless process, and you'll be able to watch anywhere on practically every platform you can think of. This year's Super Bowl is available live in seven languages, and 170 countries and territories. Here are the territories and Super Bowl broadcasters you need to know: Canada (Dazn, CTV 2, TSN 1, RDS), Africa (Super Sports, Zuku), Australia (ESPN, 7 Network), France (W9, BeIN Sport), India (Sony Ten, Sony Six), China ( Fox Sports, BesTV ). You'll find a handy guide to the main broadcasters on NFL's website. Traditionally the Super Bowl takes place on the first Sunday in February. As a result, this year's Super Bowl will happen on Sunday, 3 February. That's right, it's on today! What's the Super Bowl 2019 start time? Last year's Super Bowl kicked off at 6.30PM ET (3:30pm PT, 11:30pm GMT), and we'd expect the action to start about the same time this year. What's the halftime show going to be? It's taken a while to get sorted, but the Pepsi-sponsored Super Bowl 2019 halftime show is going to be headlined by Maroon 5, with guest appearances from Travis Scott and Outkast's Big Boi as well. Where is Super Bowl LIII taking place? The 2019 Super Bowl is kicking off at the Mercedes-Benz Stadium in Atlanta, Georgia. This is the third Super Bowl to take place in Atlanta, but the first to grace the Mercedes-Benz Stadium, which opened in 2017, can hold 71,000 fans and is located right in the heart of downtown Atlanta. Super Bowl XXVIII and Super Bowl XXXIV both took place at the Georgia Dome; don't go looking for it, it been demolished. Can I still get a Super Bowl 2019 ticket? Want to attend the big game and see the ads and halftime show in person, rather than watching the Super Bowl 2019 on TV or online? You can, but you're going to need deep pockets: the very cheapest Super Bowl LIII ticket available now, right at the very back of the stadium, is going to set you back a cool $3,600. And if you'd like to be closer to the action, it's going to cost even more. Seats in the 100 level –(complete with access to the three-hour all-inclusive Premier Party, meet and greet opportunities with NFL stars and Hall of Famers, pre-game hospitality and a post-game celebration) cost $15,075 each.